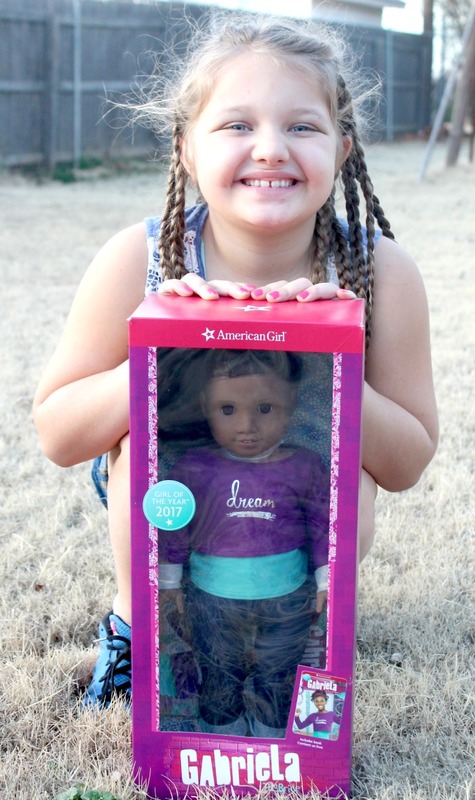 A couple of weeks ago we received the Gabriela American Girl Doll of The Year for 2017! If you’ve followed my blog for long, then you know how crazy my daughter is for American Girl dolls. Every year she anticipates the release of the new Girl of the Year and this year she was especially excited and for good reason. Gabriela is Adorable. 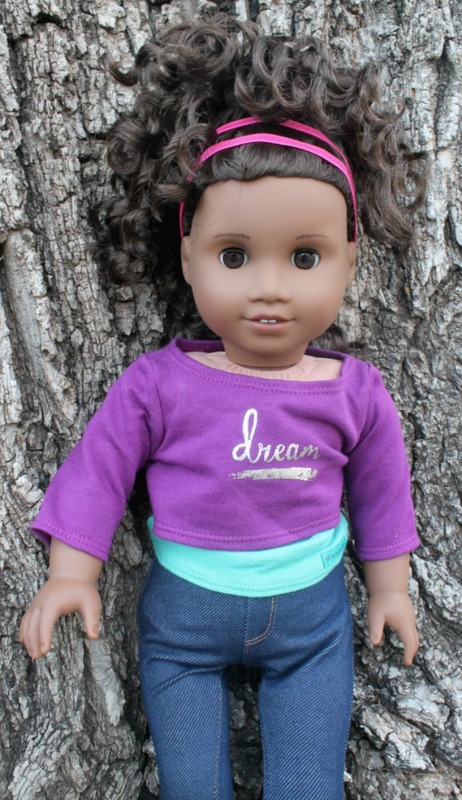 Meet Gabriela American Girl Doll Of The Year! The Gabriela McBride Story is A Special One. I mentioned above that the Gabriela McBride character stutters. She is also a very talented Poet and Dancer. She uses both of these talents to overcome her stuttering. Gabriela uses her love of poetry to help her speech flow more freely. This gives her more confidence when she is speaking in public. The Gabriela McBride story will be told in a series of 3 different books. 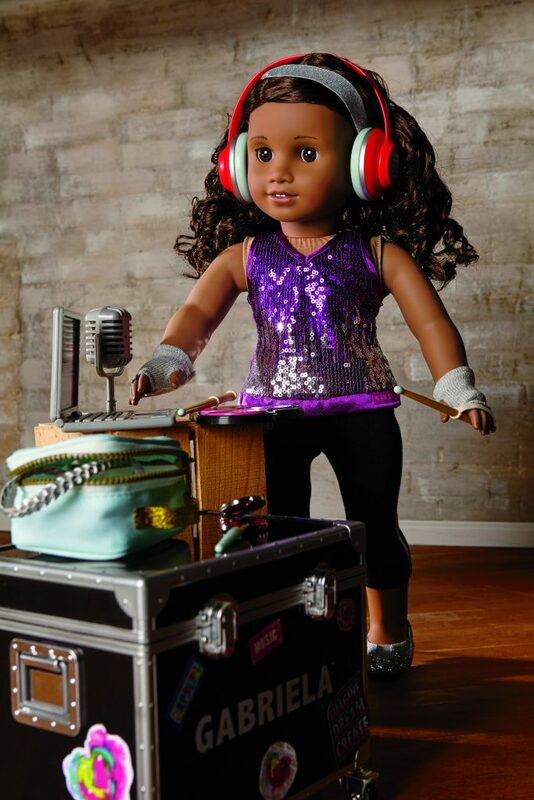 The first one, which comes with the 2017 American Girl doll, is already released. The two other books will be released sometime this year. Gabriela comes with a signature outfit, shoes and a book. But she also has some fun accessories that you can purchase separately. Some of my favorites include her creative studio set, cat and her PJ’s. You can see all the her accessories at AmericanGirl.com. Gabriela is truly one of a kind. She is not only beautiful, but she has very inspiring story that young girls all over the world can learn from. 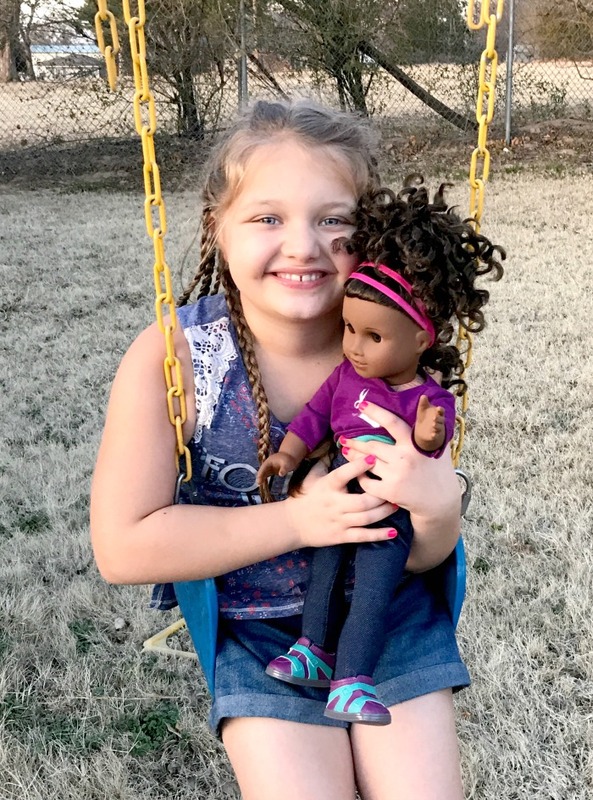 Aubrey has been playing with her new doll non-stop since she arrived. She really loves her. 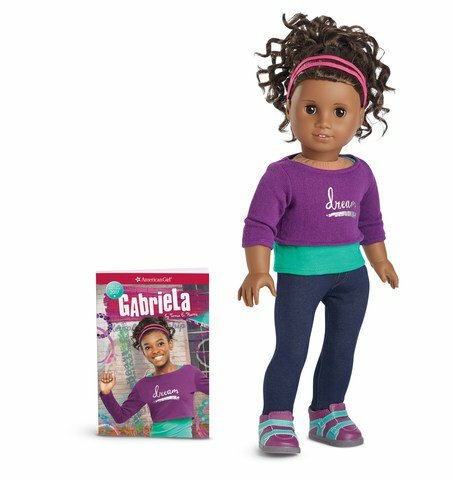 Gabriela American Girl Doll of The year is now available for purchase. You can find her in American Girl stores across the US, or you can purchase her online.